Quality servicing in Royton at highly competitive rates. If you are still going to the dealer for car service, despite the high costs and inconvenience, you are not alone. There are cheaper garages, but it's hard to trust your car with them when you are unsure about the quality. It is also difficult to be comfortable with a garage when you have no idea about the type of spares used or the expertise of the mechanics. However, finding the best garage for car service in Royton is easier than you think. We will do that for you. There is no need to search or negotiate with any garage. 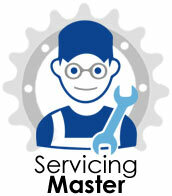 Just book your service using the easy form on this page. Depending on its make and model, we will assign your car to one of the best local garages in town. They will get in touch with you to find a suitable time to collect your car. You will also get the price upfront. Once your car arrives at the garage, the service team will call you to discuss the nature of the service. If any additional work is required, they will give you the details and the extra cost involved. No additional work will be done without your approval and there will be no unexpected charges. Free car wash and cleaning is a part of the service. The garage will also reset the service light and stamp the service book. When service is complete, your car will be returned to you at the agreed location. You can settle the bill online using PayPal or your credit card. That's it, there is no disruption to your routine, no need to search for a garage or negotiate the prices. There will be no surprises in the bill. You will get dealer-equivalent service at a much better price. 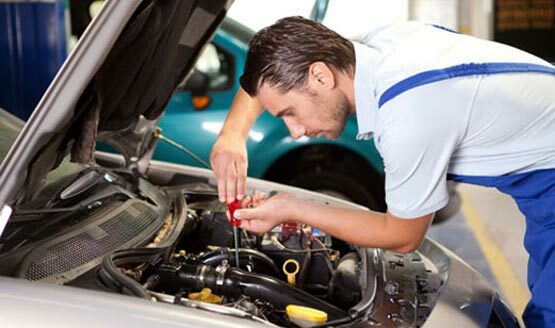 We provide all types of car and van services and repairs and perform MOT tests as well. Your car could be due for a minor, interim or major service depending on its age and the amount of use since the last service. 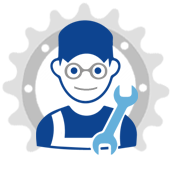 Our network garage will offer a service that confirms with the service schedule specified by the manufacturer. You will find this information in your service book. An annual MOT certificate is mandatory in the UK. It is proof that your car or van has passed the MOT test and meets the minimum requirements to be roadworthy. The test is mainly related to the basic maintenance, emission control and safety of your vehicle. If your car is due for an MOT test, we can perform it for you. Brake Repairs: The most critical safety component of your vehicle is its braking system. Worn out brake pads are replaced if needed during routine service. While that is the most common issue, other failures like leakage in the hydraulic system, can also occur. Brake repairs should always be performed by a qualified mechanic for safety reasons. Cambelt change: The cambelt or timing belt is an important engine component. It's a rubber belt with teeth on it that co-ordinates the various parts of the engine as it operates. If it fails, it can do serious engine damage. Although the cambelt has a long life, being a rubber component, it will deteriorate and eventually fail. It has to be checked and replaced in older vehicles after a certain number of kilometres or years are completed. We also undertake other types of repairs such as gearbox repairs, steering and suspension repairs, exhaust repair, clutch replacement, head gasket replacement and cleaning of the diesel particulate filter. Quality van and car servicing in Royton is now just a few clicks away. There is no need to pay more at the dealer garage or search for a local garage. Our network garage will provide excellent service at fixed rates and offer convenient pick and drop options. Just complete the form below to book your service. Book now and enjoy the benefits of premium and convenient car service at competitive rates.